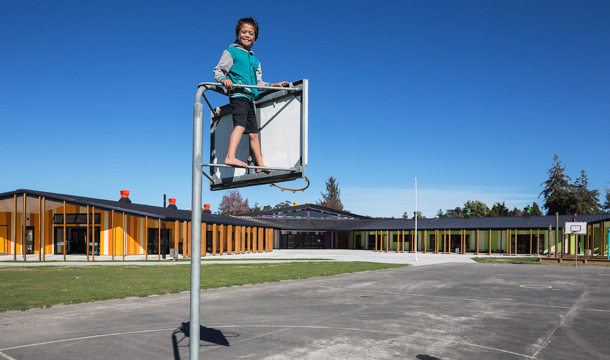 The Te Kura Kaupapa Māori o Ngati Kahungunu o Te Wairoa project entailed the new build of a year 1 to 13 Kura on the site of an existing operational Kura. The school had been planning a purpose-built facility for two decades, and was currently housed in an old primary school. The aim was to create advanced ‘modern learning environments’ with vibrant and well-connected learning spaces through the use of new building materials and technologies. Flexible teaching spaces need to support various teaching methods, while specialist teaching spaces and equipment must be suitable for numerous subjects. Providing spaces which can be used by the school and the community alike is a key objective in this isolated area. 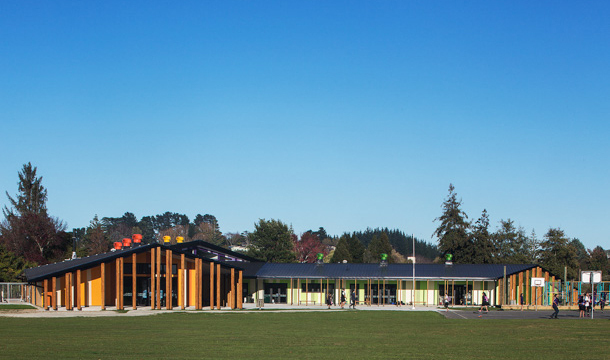 The architecture also needs to engage with the unique landscape and history of Wairoa and its people. The building’s senior and junior wings contain open-plan teaching spaces, break out rooms, hard and soft technology areas, a library and staff room around a central multi-purpose hall/gym/performance space. Project management scope included design management and construction management through to completion. Construction progressed in two stages, with second stage demolition and asbestos removal during the school holidays. The Kura is positioned on ley lines to key culturally significant features such as mountain, river, sea and sun and the two learning wings wrap around the central court yard to provide a central play/performance/student interaction space. Environmentally sustainable design features have been incorporated, from rainwater harvesting to solar power generation and passive ventilation for summer cooling. There were a number of challenges associated with the full immersion Kura (only Maori spoken) not least its unique Iwi protocols (no women allowed on site until the building is blessed). It is sited on swampy soils with a high water table, requiring a raft foundation to mitigate settlement. The construction site was also 10 metres from a fully operational school so safety was paramount, and contractors’ behaviour was carefully managed. Wairoa’s remote location meant careful planning around materials and resourcing, in addition to easily operated services. A diesel boiler is used to heat water for underfloor heating. 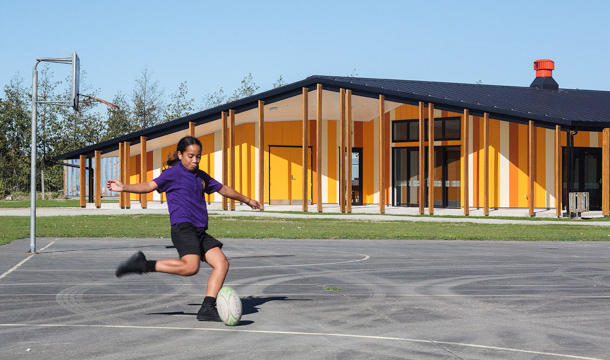 RDT Pacific was first choice to manage the build as John Meredith has built a strong relationship over numerous projects with the Ministry of Education’s project director, and his ability to work within in a small community and an operational decile 1 school environment. Although not fluent in Te Reo, John’s experience with other Kura projects and managing several new builds within operational schools enabled him to understand the project’s unique cultural and requirements. 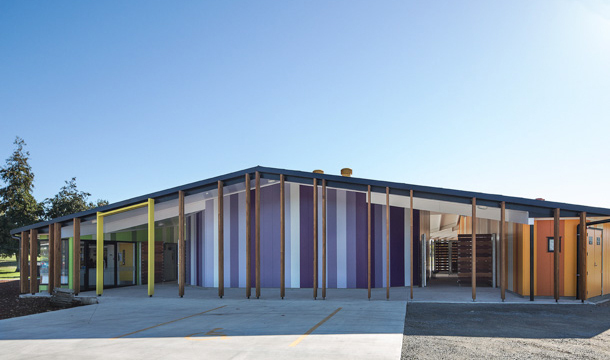 Whanau, students and teachers are thrilled with the school’s colourful, open plan layout, and feel that the facility marks an equally bright new chapter in the community’s education.